No matter how big or small your HVAC is, it needs attentive care like any part of your home! 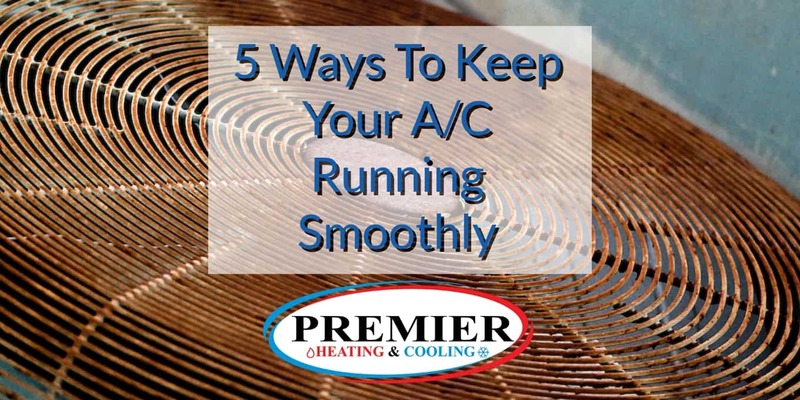 Venturing into your system may be daunting, but there is a lot you can do to make sure your A/C doesn’t break down on you unexpectedly! Grab your manual and follow these five recommendations. A very basic thing you can do yourself, changing the central air conditioner filters regularly can keep your system clean, keep the components in their best shape, and allow your HVAC system to run smoothly all summer long. You can find out the size you’ll need in your system’s manual, or on the panel that opens to the filter slot. It doesn’t really matter what kind of filter it is – even if it doesn’t look dirty, it should be changed every thirty days! There’s ice on the coolant lines. The outside lines are usually copper, and when the refrigerant pressure in them drops, the temperature will too. Ice build-up is the end result of this lack of pressure and is a sign that you’ve got a leak. The vents blow warm air. If you feel warm air coming out of your supply vents, that’s a sign that there’s not enough refrigerant to cool down the air coming into your system. You hear a hissing sound. This is the product of refrigerant escaping the line. If you detect any of these problems, call a professional ASAP! Coolant is a toxic substance, and you aren’t trained to handle it properly. Cleaning the outside of your unit can save you money and keep your air conditioning systems going longer without breaking down, and after a long fall and winter, your system will need some TLC! For example, If the condenser coils are covered in leaves, dirt, and other stuff, they won’t be able to release the heat efficiently. This will mean the unit has to run longer to cool your home, leading to higher bills and the risk that the whole thing will overheat and shut down. Cleaning isn’t rocket science, so feel free to do it yourself. Disconnect the system, then use a hose to spray off the leaves, dirt, and other debris. Buy a coil cleaner from your local hardware store and spray the unit with it (coil cleaners are chemicals, so use them with gloves and eye protection; check your manual for any recommendations); wait five minutes, then wash it off with a hose. Don’t listen to so-called “self-rinsing” coil cleaners – wash the cleaner away so it doesn’t eat the metal and cause corrosion. 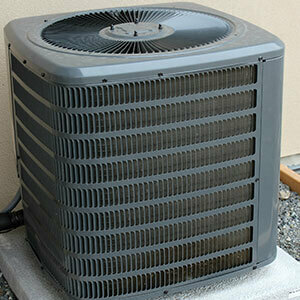 There are a number of things you can do to help your air conditioner do its work. An air conditioner runs best when it’s going full blast, so you don’t need to keep it going all day. Program your thermostat so that the A/C turns off when you’re regularly not home, and turn it off yourself when you leave. As well, keep your home open to achieve air “balance”, with air flow in one direction matching airflow from another direction. This means keeping not just internal vents open, but also doors! Preventative maintenance is one of the best ways to never have to deal with breakdowns and costly repairs. Having your HVAC professionally examined by a qualified, certified technician can be one of the best ways to keep your A/C running smoothly all summer long. They can check the levels of refrigerants and chemicals like freon, open components without damaging sensitive parts, and perform routine examinations safely. This entry was posted in AC Repairs, Tips. Bookmark the permalink.